Toy Sewing Patterns, Craft Kits and More! Make Your Own Felt Dolls and Stuffed Animals! Subscribe and get 15% off sitewide! 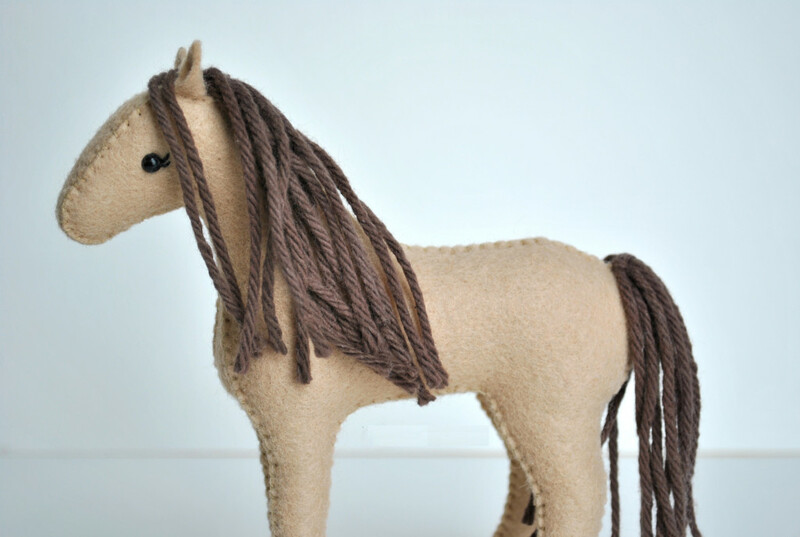 DIY Crafts Felt Horse Sewing Kit… COMING SOON! The finished toy horse will stand approximately 5.5 inches tall. This product is meant to be hand stitched. A perfect project for learning to stitch, or practicing your hand stitching. Makes for a fun rainy day project or a fantastic gift for craft enthusiasts. This kit is easy to use and perfect for beginner’s to sewing and hand stitching. Felt is very forgiving and therefore perfect for beginners. The kit does contain small pieces and sharp needles, so caution must be used. This kit is not intended for use with small children. Stay tuned while I add more kits with horses, unicons, and even pegasus of all colors of the rainbow. You can make your very own herd of tiny stuffed horses. A horse lovers dream come true! Support small business and buy here, or check out my Etsy or Amazon shops. Hi! I'm Delilah and I'm the creative mind behind DelilahIris Designs. I've been making and creating since before I could remember. My designs and creations are inspired by nature and love, my children, and all things spirited and whimsical. I do hope you enjoy my creations, handmade offerings, and toy sewing patterns. What Have I Been Making?